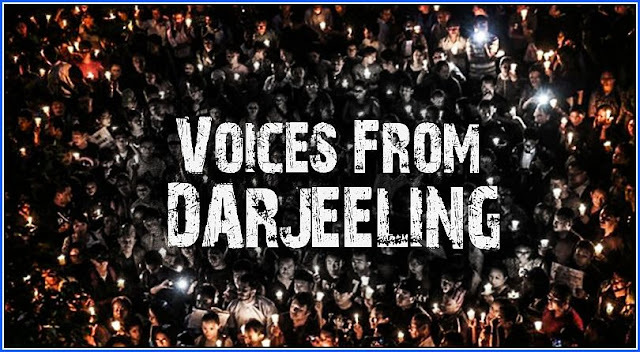 Darjeeling/Kolkata: The Darjeeling Lok Sabha constituency is having a problem of plenty. Too many ‘bhumiputras’ (sons of soil) are in the fray, working at cross-purposes that may ultimately blur their claims to the ‘bhumi’. GJM (Binay Tamang) MLA from Darjeeling Amar Singh Rai is a ‘bhumiputra’ fighting on a Trinamool ticket from the Lok Sabha constituency. Strange bedfellows till the other day, GJM (Bimal Gurung) and GNLF have thrown their weight behind BJP candidate Raju Singh Bista, a Manipur-born businessman who boasts Gorkha roots. Former Rajya Sabha member R B Rai of CPRM and former Kalimpong MLA Harka Bahadur Chhetri too are sons of the soil. So are CPM’s Saman Pathak and Congress’ Sankar Malakar, who is party MLA from Matigara-Naxalbari. Also in the race are two Independents — Reseeka Chhetri and former GJM spokesperson Swaraj Thapa. The presence of so many candidates with Gorkha roots, with some openly swearing by the Gorkhaland cause, has turned the poll paradigm in this constituency upside down. The Hills that overwhelmingly went with BJP’s Jaswant Singh and later S S Ahluwalia now stands divided, prompting politicians to do a mohalla-wise calculation of votes in the three assembly segments — Darjeeling, Kalimpong, Kurseong — like parties are used to doing in constituencies in the plains — Matigara-Naxalbari, Phansidewa, Siliguri and Chopra. The bottom line is that no party is going to have a monopoly in the Hills this time. Trinamool chief and CM Mamata Banerjee has found a credible Gorkha face from the Hills with the backing of the Binay Tamang-Anit Thapa-led GJM that has done some work in the Hills through Gorkha Territorial Administration. If this is an advantage for Trinamool-GJM candidate Amar Singh Rai, his disadvantage is that he is fighting on the Trinamool symbol that is not yet close to the hearts of Gorkha population, particularly in Darjeeling and Kurseong. The police crackdown during the Gorkhaland stir of 2017 haunts them still. BJP’s Raju Singh Bista has one major plus point. He is the only candidate who enjoys the support of two major Hills outfits — Bimal Gurung’s GJM (though Gurung is a fugitive) and GNLF. Furthermore, Gorkhas may blame Ahluwalia for not paying a visit to his constituency during the 2017 agitation, but they don’t have an allergy towards BJP. But Bista has his problems too. Former GJM spokesperson Swaraj Thapa calls him a “rank outsider”. Also, party activists aren’t sure how the recent tie-up between arch rivals GJM and GNLF will play out in the Lok Sabha polls. The ground situation leaves enough indication that identity politics in the Hills won’t work for any single candidate. CPRM candidate R B Rai, who has been in touch with the grassroots for years, and Chhetri are likely to have their share of votes that might help the Trinamool candidate get an edge over the BJP nominee. Congress’ Malakar too will have a chunk of votes from the Matigara-Naxalbari assembly segment over and above the average Congress vote share. CPM’s Pathak will lap up some of the anti-BJP, anti-Trinamool votes in Siliguri, Phansidewa and Chopra and a small portion in the Hills. The large number of nominations is thus confusing to the young voters, some of whom have already expressed their disgust on social media. They are considering NOTA option while their seniors are trying to convince them on the need to make a choice. Workers in seven tea gardens have already announced a poll boycott. All the complexity has now brought Darjeeling under renewed focus. The Darjeeling Lok Sabha constituency is having a problem of plenty. Too many ‘bhumiputras’ (sons of soil) are in the fray, working at cross-purposes that may ultimately blur their claims to the ‘bhumi’.